Dr. Sadhana Shrivastav has completed her post doctoral thesis on “Chhattisgarh ki lok kala evam Sanskriti” Sponsored by Indian Council of Historical Research, New Delhi under the supervision of Dr. Shailendra Singh. 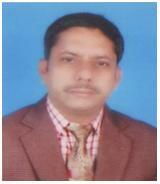 Dr. Shailendra Singh M.A. / M. Phil. / Ph. D.